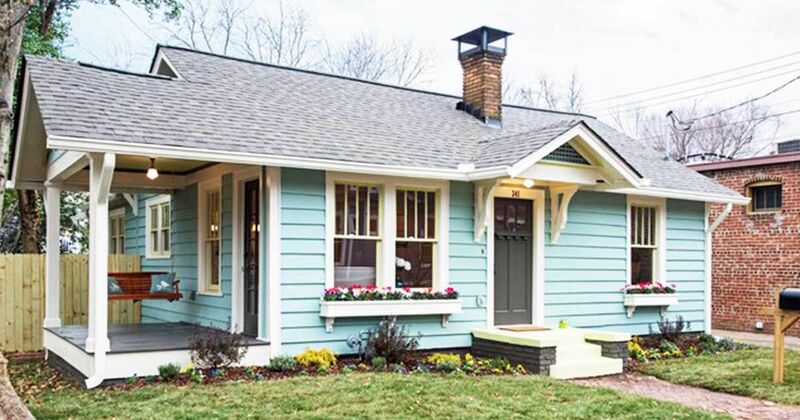 This cute little blue cottage in Atlanta, Georgia, was remodeled by Carl Mattison Design — a company that handles everything from interior design to full renovations. 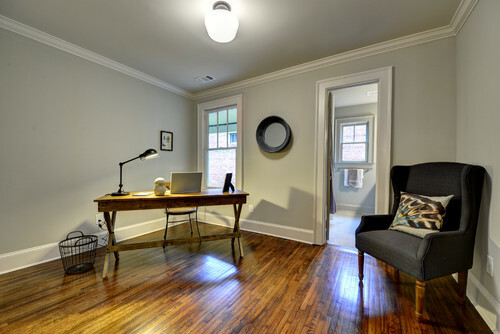 The once-dilapidated interior now features a soothing light color palette, classic finishes and gorgeous refinished hardwood floors. 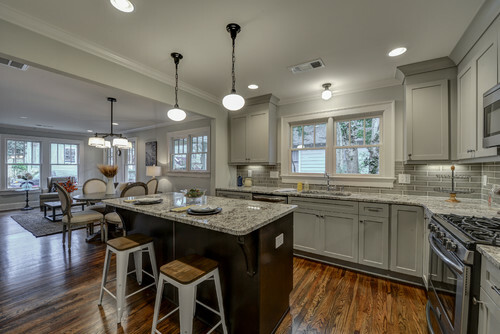 The layout features an open floor plan that includes the living room, dining space and kitchen. 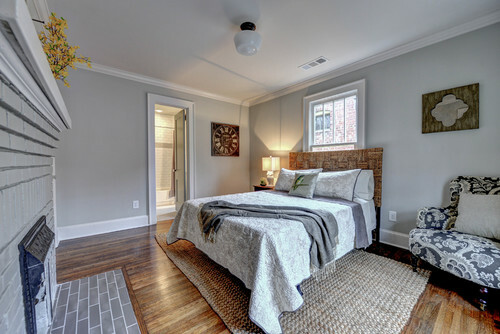 There are also two bedrooms and a bathroom. Each room is more beautiful than the next, and it's obvious that every detail was chosen with care. 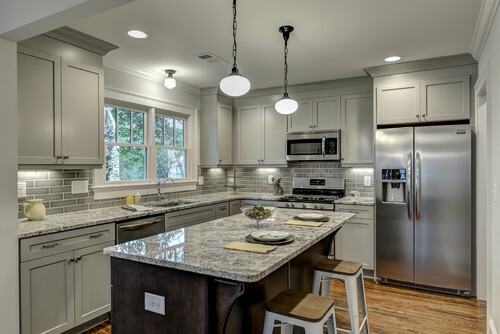 The size of the kitchen was kept the same, but everything from the cabinets to the light fixtures is brand new. The result is a vintage-modern-style kitchen that will stand the test of time. A second fireplace is found in the bedroom for extra coziness. 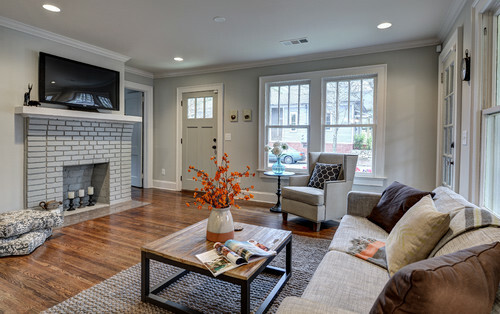 Gray glass hearth tiles add a chic modern detail. 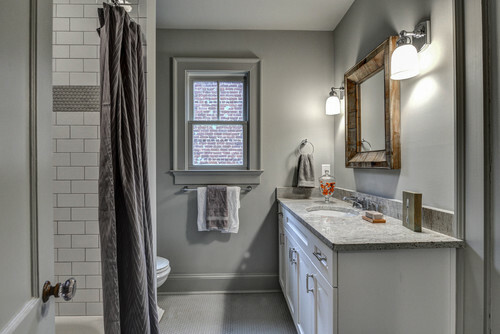 The gray color palette continues into the luxurious bathroom. The shower surround is done in classic subway tiles with a penny tile accent stripe. This bedroom functions as an office. The walls throughout the house are painted in Repose Gray by Sherwin Williams. Did you enjoy this beautiful house tour? Could you picture yourself living in a smaller home? Be sure to share it on Facebook, Pinterest and Instagram!